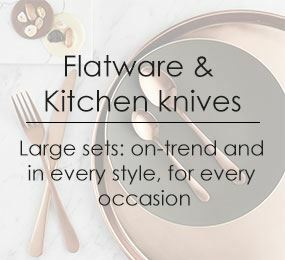 Amefa makes the everyday pleasures of good food even more enjoyable with flatware for every occasion. The traditional details of the Lou Laguiole Made in France steak knives match perfectly with the modern design. At Amefa, we know all about flatware and kitchen knives. After all, we’ve been ssetting tables all over the world since 1931! So what’s the secret to our success? With strong heritage and expertise we know what works, whether you’re setting your first table or your thousandth! Our mission is to be a valued, reliable partner providing the benefits of a global company with the speed, flexibility and personal touch of a local company.